3 pack sizes: 750ml is supplied with a Trigger Spray head, 5 litre & 25 litre. Add to basket then select quantity required. Delivery is £5 for Next Working Day UK (Excluding Highlands & Isles). Ideal for natural fabrics, (Cotton, Linen & Wool), Paper and Cardboard based materials. Also often used on Hay & Straw. Certificate of performance provided with each order. This product has high active solids content of 30% compared to around 15% of our competitors products. Which means it goes further and you do not need to saturate the material being treated. This product is water soluble so not for outdoors or weather exposed use. See Flametect Nitro D for that purpose. It is a legal requirement for Curtains treated with Flame retardant to be labeled with care & durability instructions. Treats on average 10 sq. metres per litre. Possibly more on light weight materials. 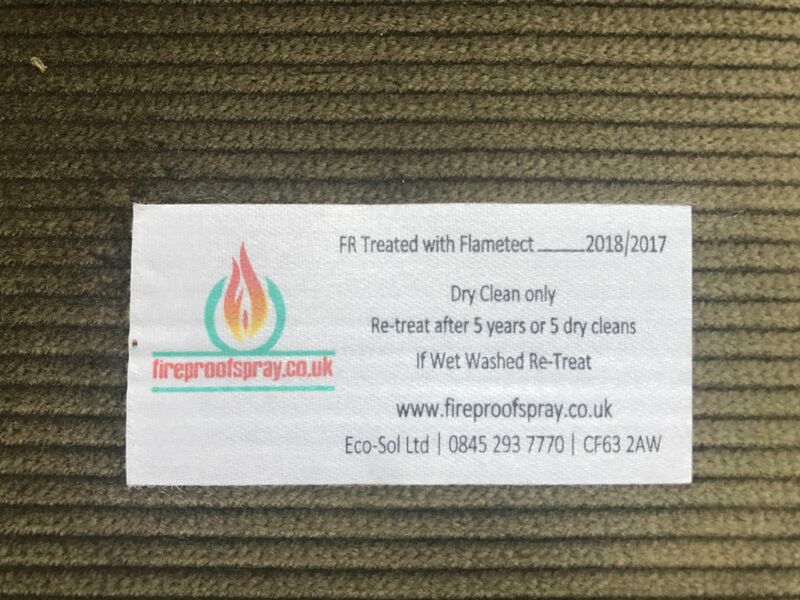 Water based flame retardant. Completely Odourless. 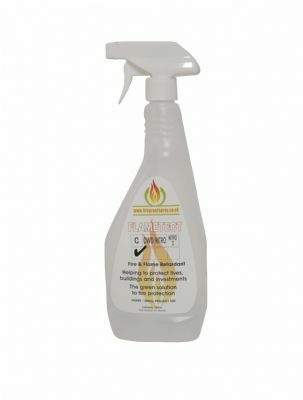 Most effective on natural materials or natural synthetic blends. Order before 3:00pm for next day delivery. It is a non-toxic non-hazardous formulation , that is easy to apply. Contract Spraying Service click for details. For use around metal items use Flametect Nitro.